Type the serial number into the Apple Support Page. You'll then see what version you are running on your Macbook. 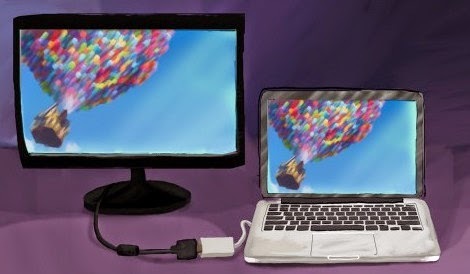 If you have connected the Macbook to the TV as described above, you should now see the TV displaying your Macbook screen. Now, select the TV and you're all set. Try switching through the different HDMI input channels of your TV. 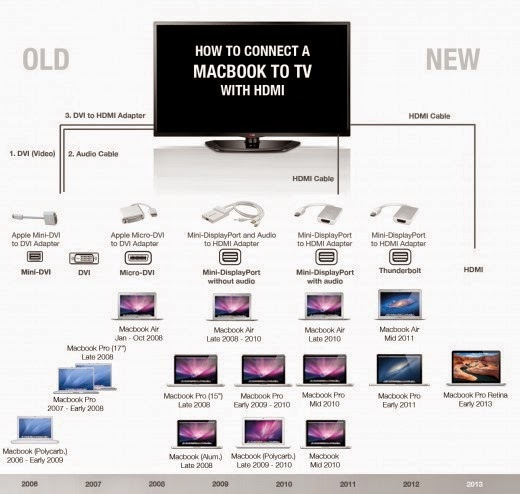 Most TVs should automatically detect the Macbook video connections, but some models will require you to select the video input manually. Make sure your system has the latest software updates installed. With the upgrade to OSX Snow Leopard there was a Mini Display Port Audio Output bug, see this discussion in the Apple support forums.